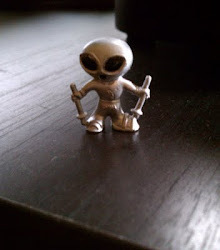 High Strangeness: UFOs on Facebook! I love this! 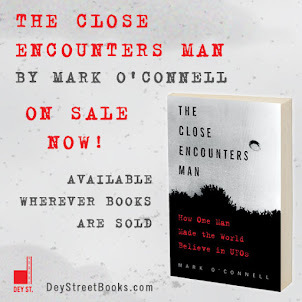 My publisher keeps coming up with novel ideas to promote my book, The Close Encounters Man, and the tradition continues tomorrow, July 11, at 7:30pm Eastern/6:30pm Central, when I do my first Facebook Live reading and Q&A. I'm still figuring out the technicalities, but essentially I'll have a live video feed on Facebook, and viewers can watch at Book Studio 16 and listen as I read excerpts from my book and answer questions from the audience. The more, the merrier! As you can see from the promo above, we'll be covering all the big topics, like, "What do aliens eat for breakfast?" and "What do aliens read?" and "How to Tell if You've Been Abducted," along with whatever else you good people come up with. Again, the fun begins at Book Studio 16 on Facebook at 6:30pm CT/7:30pm ET. 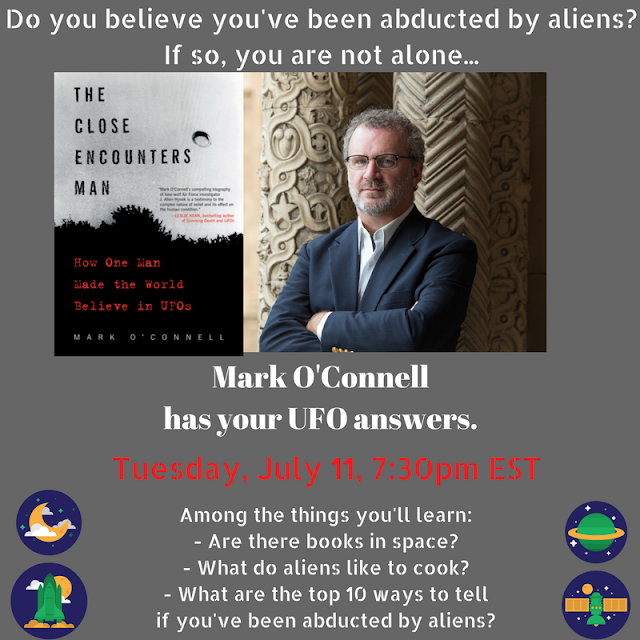 Ask me anything about alien encounters and recipes, and listen in for a #FacebookFirstReads about UFO books! Wish I could make it, but I have a prior commitment at that time. Will there be a recording available? Yes, the video is available on Facebook. You should be able to find it on my timeline, or at the page for Book Studio 16!